Live in the present! 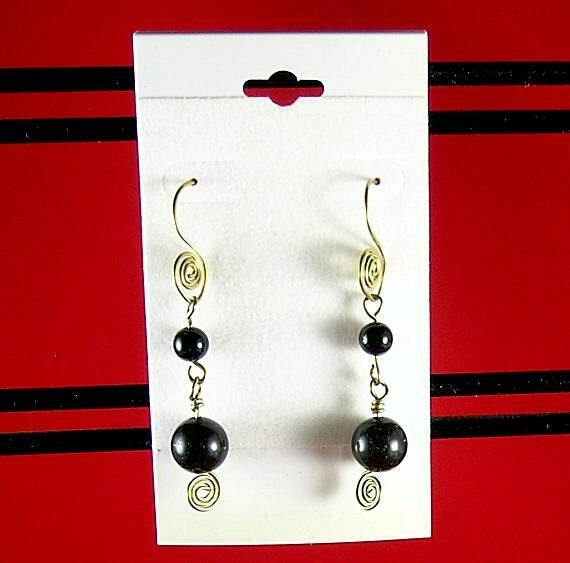 A handmade sacred spiral headpin with a 10mm onyx round bead forms the dangle for these unique earrings. 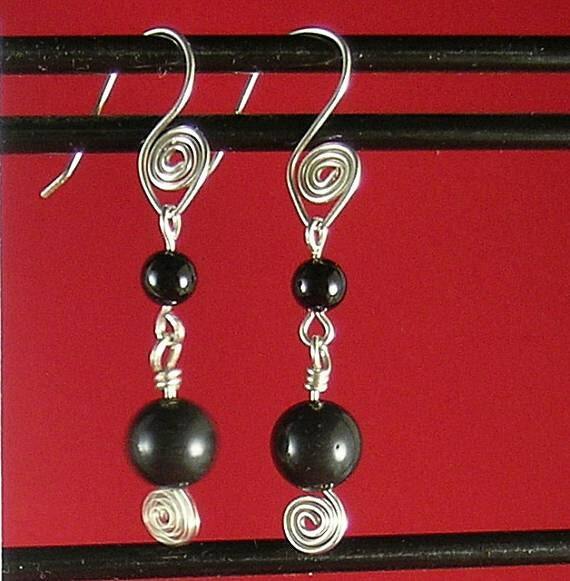 It is attached to a 6mm onyx bead link which it turn is connected to handmade matching spiral ear wires. 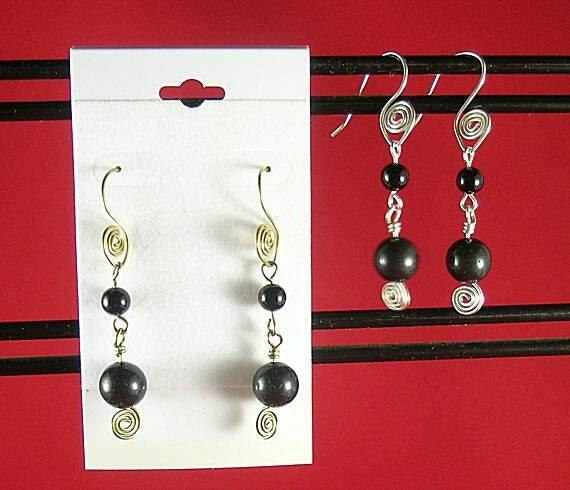 Including the ear wires it is approx. 2" in overall length. A Palace Gallery Original! 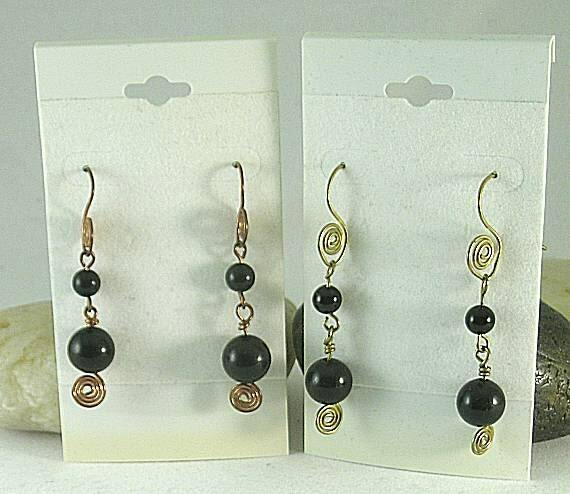 Available in silver-filled, copper and bronze. 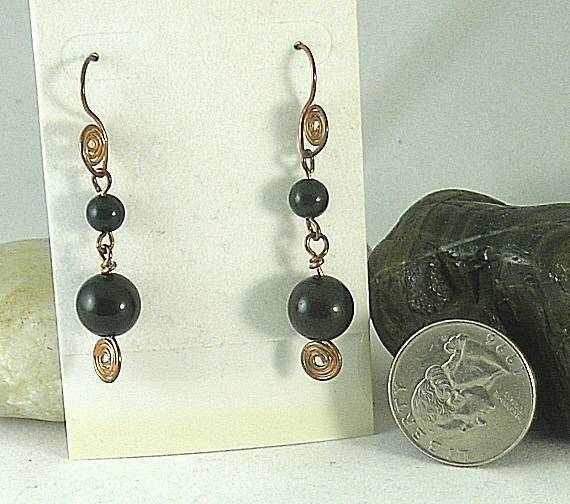 Other metal including sterling silver and gold-filled by custom order.